Nigeria-born British boxer Anthony Joshua has insisted that he “would rather lose than be classed a drugs cheat” as the boxing champion look set to face Alexander Povetkin. 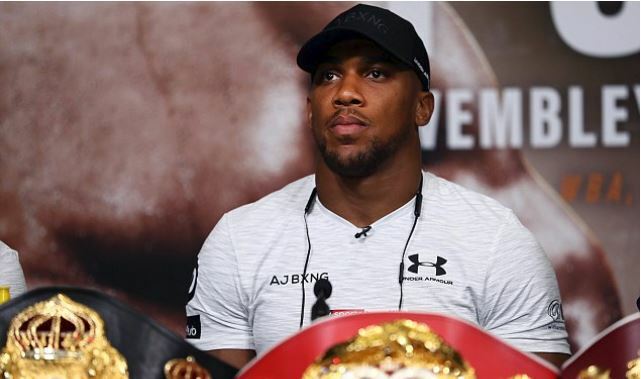 Joshua believes he would have been banned from boxing for life had he failed drugs tests like the Russian with whom he must share a ring at Wembley Stadium on September 22. “I would rather take a loss than be done for doping; being done for doping is far worse for your legacy than taking a loss,” said Joshua. Povetkin lost big money when world title fights against Deontay Wilder and Bermaine Stiverne were called off after he failed drugs tests, one for meldonium which led to tennis suspending his fellow Russian Maria Sharapova. Povetkin believes accusations are pointed at sportsmen from his country carte blanche: “I don’t think that our sportsman in Russia consume all those things [drugs] they are accused of. Both Joshua and Povetkin have signed up for independent testing ahead of the championship bout in September.